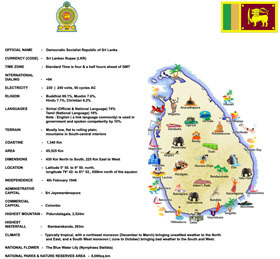 Visiting Sri Lankan President Maithripala Sirisena is set to visit Camp Crame, the national headquarters of the Philippine National Police (PNP), on Saturday. A PNP statement on Friday said Sirisena — in the Philippines for a five-day state visit — will be accorded full state honors upon arrival at Camp Crame and will be received by Interior Secretary Eduardo Año and PNP chief Director General Oscar Albayalde. “The PNP is honored to host this first ever visit to the PNP National Headquarters by a foreign head of state,” Albayalde said. A formal program will be held for Sirisena and his delegation, after which Catalino Cuy, chairman of the Dangerous Drugs Board, will brief him on the national anti-illegal drugs campaign being waged by the Duterte administration. A static display and photo exhibit depicting scenes from actual anti-illegal drugs operations will be presented for Sri Lankan delegation.